Films for use in a multitude of printing solutions. Our die cut labels are cut from a manufactured die. These labels can be made into various shapes for any customer. The die cutting process uses specially designed cutting tools to create the custom shapes or cutouts. 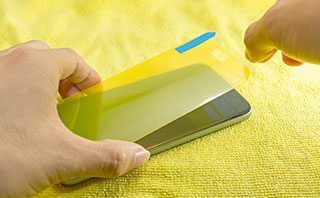 PMMA (poly-methyl-meth-acrylate) or poly (methyl 2-methyl-propenoate) is commonly called acrylic glass or just acrylic, is a hard, stiff material with excellent UV stability, low water absorption and high abrasion resistance. PMMA has outstanding outdoor weathering properties and can even be polished to restore transparency. PMMA transmits more light than glass. PMMA is suited for temperatures up to 200 degrees Fahrenheit, Polypropylene Film, PP Film can withstand up to 300 degrees Fahrenheit. Please contact a representative today so they can tailor a PMMA film, Poly-methyl-meth-acrylate Film product to suit your particular need. 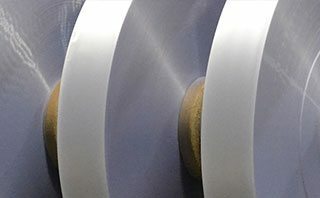 Surface Protection Film is used to keep substrates clean and to protect from unnecessary stains, abrasions, or scratches during fabrication, transportation, and installation processes.